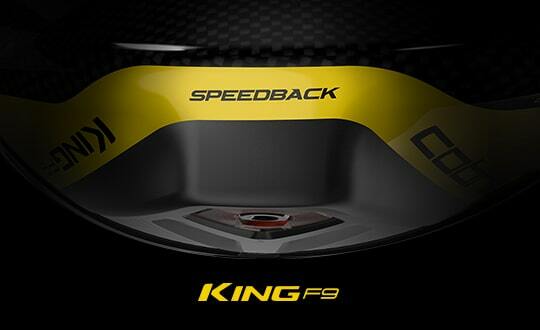 The KING® F8 ONE Length™ Irons simplify the game to deliver maximum consistency. easily!!!! I still don't regret my purchase. I am 60 and just got back into golf after a few years hiatus. The F8s flatter me. Played with a couple of very good players, low single handicappers, and they were grinding their teeth after a few holes. Theres a long Par 3, 230 yards to the back of the green at my local course, and I smacked the 4 iron through the green. Too flattering. Only issue is working the ball both ways with 8 irons and shorter irons. Easy enough to draw but fading and cuts are challenging. Best clubs I have ever owned. By far. They are forgiving and long. They are very accurate and look great. Got fitted for a set with KBS 115 R+ shafts.. took 3 rounds but finally dialed in.. +10 yards gained in each club from my Bio Cells.. broke 90 3rd round out.. cant say enough about these clubs. My high school player has been playing great ever since he's been using his new irons. His average is dropping and his confidence is growing. Thanks Cobra!! Purchased a set of F8 irons 5-GW. This iron is 10-15 longer per club than my previous iron set. I am using the KBS TGI 70 shaft. 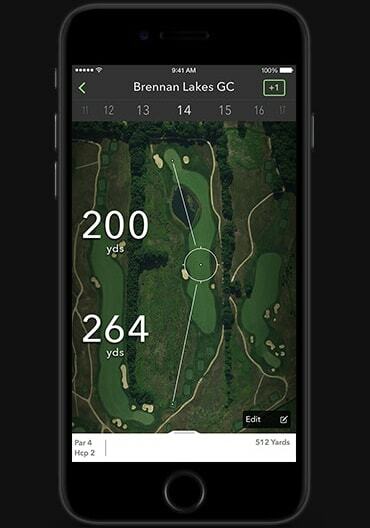 I hit the ball all over the club face, no distance lost for off center misses on the club head. Since I paid $1200.00 for this set of clubs, I am disappointed on how they are wearing. The ball marks on the face do not come with soap, rag, or light brush. The sole of the clubs scratch and scuff very easy, just one use at the driving range showed a lot of wear on the face and sole. Although I like the performance this club, I am not happy how they are they are wearing, just bought them in June 2018. If I knew they did not wear well, I would not have bought them, will not never buy another Cobra golf club. 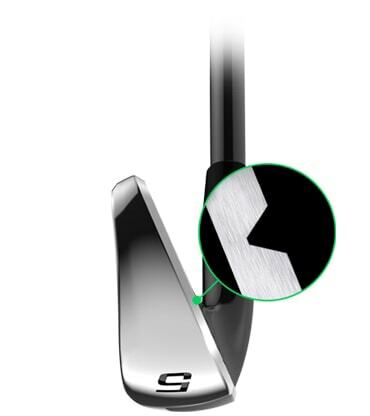 I love my F8 irons, very smooth and very forgiving. Has improved my game tremendously. Solid Irons! Love the App. 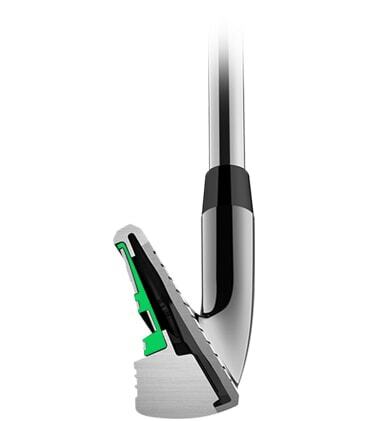 I don't own these irons but they look and seem really cool. I am going to buy a set when my graduation money comes in. Can't wait!!! I have played Cobra irons for 20 years. I got a full set of Cobra F8 woods, hybrids, and these irons. i love how they feel and the swing weight. The ball flies longer and higher than my old set and the ball lands softly on the greens. Bought these clubs earlier this year to replace my old Cleveland CG4s. I got the entire set up, the Driver, Fairway, Hybrid 3/4, and 5, 6, 7, 8, 9, P & G irons, and so far I love them all. They are easy to hit, have added length and accuracy to my game, and they look awesome in my bag. 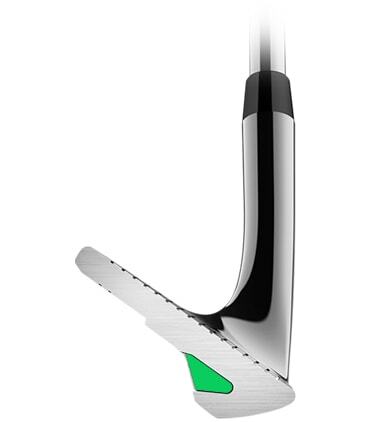 I ordered a Cobra F8 4 iron and all I can say after playing with it is WOW!!!!!!!!!!! This club is a ROCKET LAUNCHER!!!!!!!!!!!! 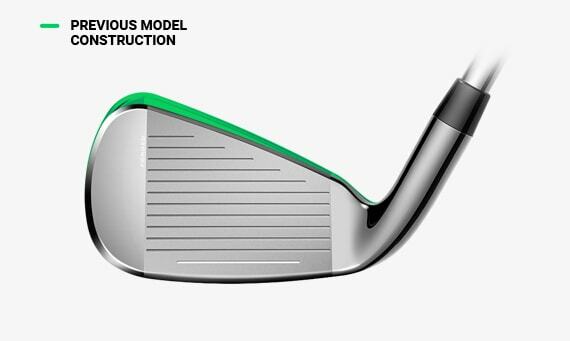 I hit an Adams CMB 4 iron which is bent 2* strong and a Taylor Made P790 4 iron which is bent 2* strong and then the Cobra F8 4 iron which is bent 1* strong. My Adams 4 iron went 204 yards the Taylor Made P790 4 iron went 215 and the Cobra F8 4 iron went 235 yards. I couldn't believe it!!!! 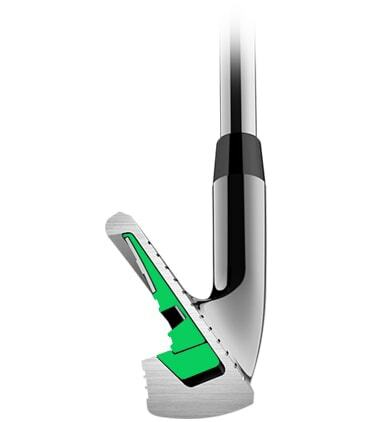 LONGEST IRONS on the market and it is very easy to hit. I love it! I love the tech in these and the playability. 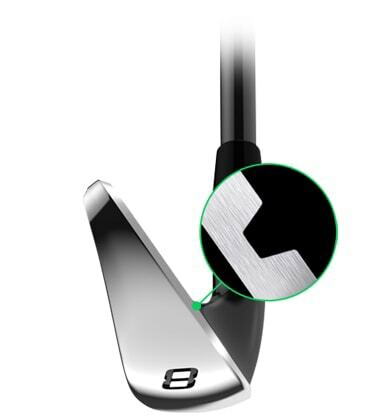 Long irons carry for miles, short irons are easy to control and the gap wedge is perfect for around the green. Paired these with the Modus3 105 shaft and the dispersion is excellent. I can work the ball left or right. 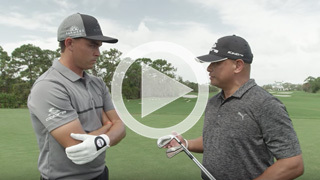 So far Cobra Connect has been great -- no work required during the round, mounds of data after it. If you're in the market for a new set, you have to try these. 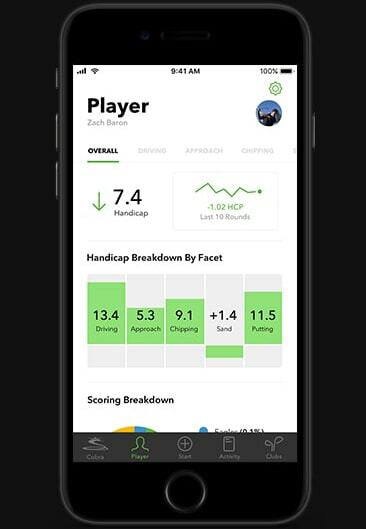 10 handicap. Most of the big name golf companies were represented and I tried everything I could in different shafts. I must have hit over 100 balls. 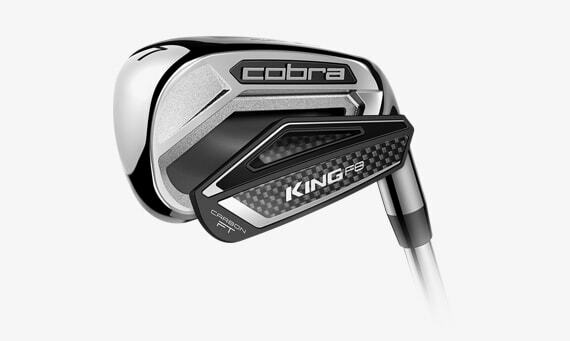 Liked the ping G700's and Callaway Rogue's but the Cobra F8's were a pleasant, unexpected surprise. They have the best feel and about the same distance as the others. I hit them higher then I am used to with present irons but did not lose distance. A tighter pattern then the others as well. I'm in! f8 irons are great, but look 5 years old with scratches after only 6 weeks.longer than cal blk.f8x driver hit it long but can't keep it in the fairway yet. I have only been to the driving range but I really like these clubs! they are so easy to hit. I can't wait for good weather so I can actually play a round with them. I couldn’t believe the difference with the F8 Irons I have gained 10-20 yds per club and absolutely love the look and feel of these irons. Very happy and excited for many more rounds of golf. The clubs are great. Gained at least 1.5 to 2 clubs in distance from my ping i5, and I am hitting balls much higher which I needed. Two concerns I have, I ordered the f8+ grip because I like the crossline pattern, however was very disappointed to find out that it is a reduced taper grip (think MCC +4), and this was not listed anywhere on the website. I wish I would have known cause I do not like the larger lower hand, and do not want to spend $80 for connect grips to regrip my set. 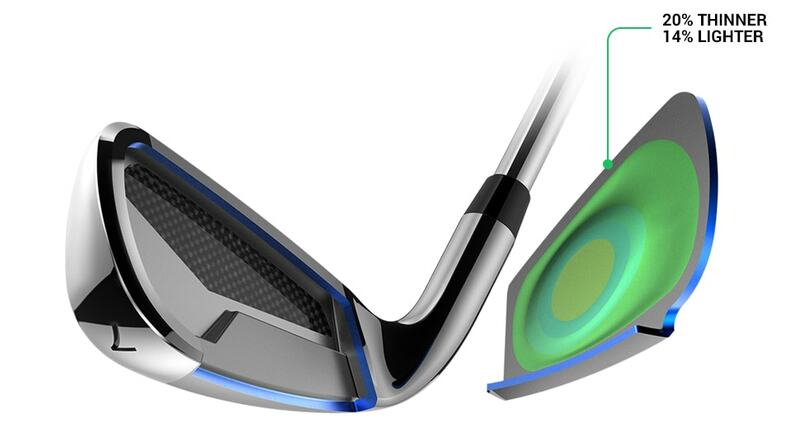 Also, while I like the idea of the arccos 360, it just drains my phone battery, and I am not a fan of how it adds .25 inches to your clubs, meaning you must use the connect grips if you want to have the length of the clubs consistent over time. If I were to order again, I would probably go without the connect grips, to offer me more flexibility in the future with grip choices. Overall, I would say the clubs are 5 stars, the problems with arccos and the grip problems described knock me down to 4 stars, almost 3. I'll confess i only just received these irons and haven't played a round with them yet. I did however hit these irons in a fitting i had and swung them great. Longest irons i hit that day and with all the great customization options available, my choice was easy. Also really excited to try to Arccos Grips and at no additional cost, the added value alone is enough to buy these. 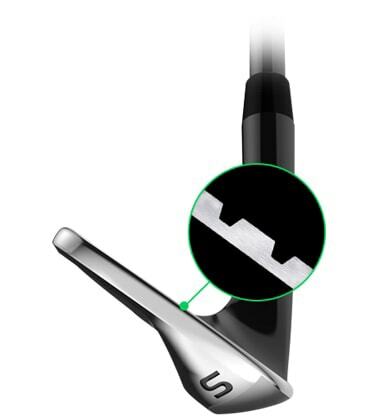 I had a unique challenge with the delivery of my irons, and the customer service team was really great in accommodating my situation. 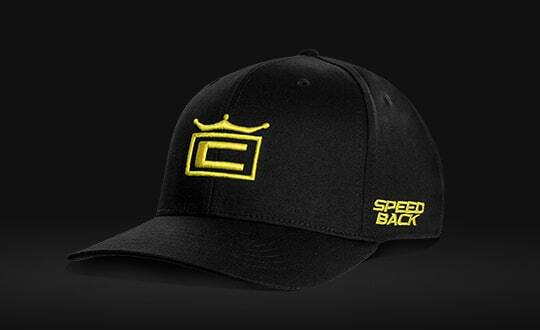 Really pumped on this brand and am #teamcobra the whole way. Cobra clubs have always been my clubs of choice! My F8 clubs were delivered early, which was a surprise. They are the smoothest, most amazing clubs that I have swung. Incredible. I recently purchased the new King F8 irons, added length to all my irons and absolutely love the look and feel. Great set of clubs! This is my second set of Cobra F8 clubs! My first set was stolen and I loved these clubs so much, I had to buy the same set again! These are the best clubs that I have ever played with. The feel, the look and overall performance makes them top notch in my book. I ordered the King F8 custom made each Woods and Irons. These has got to be the best Golf Clubs I had in my life time! I hit these clubs further then I ever had with the other name brands I purchased. I purchased the senior lite shafts and they performed excellent. I was so impressed with the clubs, that I rounded off my set with a Cobra Tour Golf bag. Also, the Cobra Connect is the greatest technology invented. 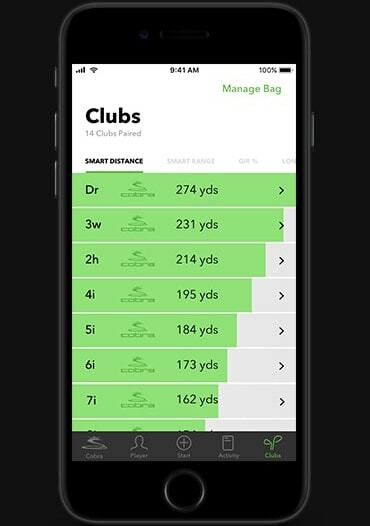 With your Iphone, you can track your performance with each club. 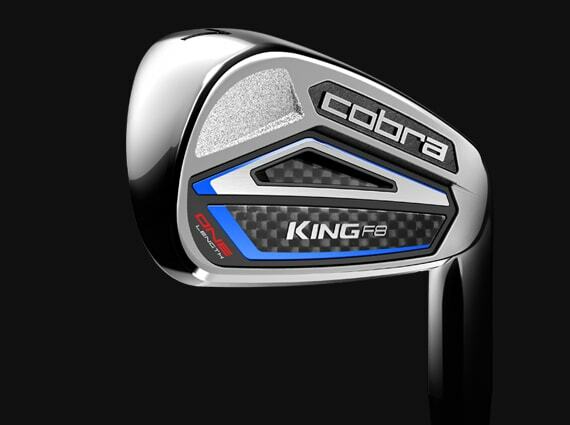 I highly recommend the Cobra King F8 Clubs. 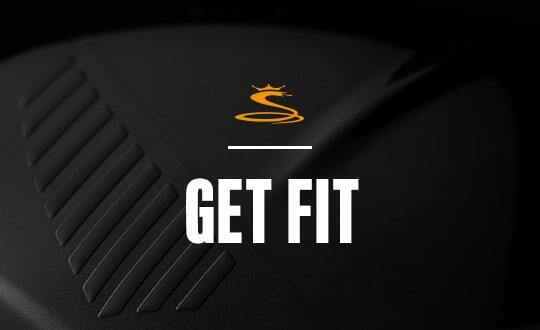 Great Look, Feel, Distance. Can't beat the price! Just got the new set of Cobra irons. 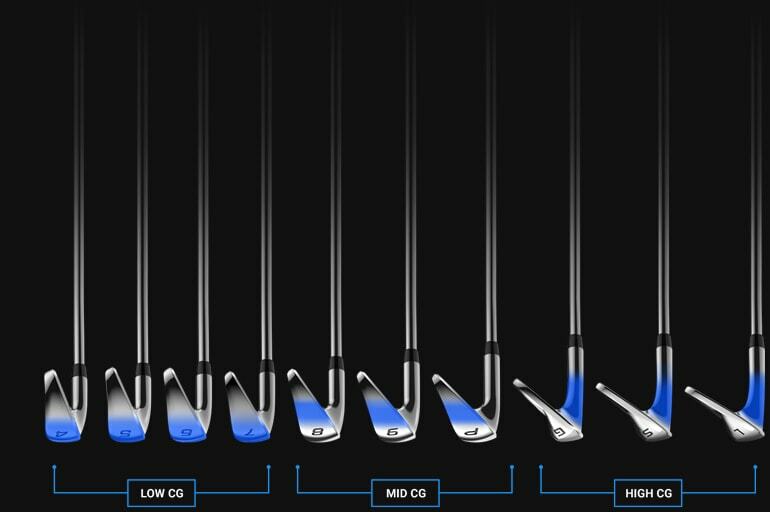 Clubs feel solid and easy to hit. As far as distance is concerned, I am hitting these new clubs 5-7 yards further than my last set. This is only my first round with this set but I feel I will see some improvement with my shot making as I get used to this new set.Great irons, a definite plus in my bag!!! I received my F8 Irons about a week ago and they are performing well. I really like the look and overall durability of the clubs. I’m already noticing more distance and consistency with my shots. 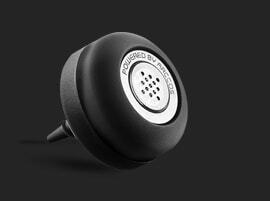 Quality Product! Went for a fitting yesterday - loved the feel and distance. Vast improvement over my (seriously) old current set. My concern is with the grip choice and the ARCCOS sensors. 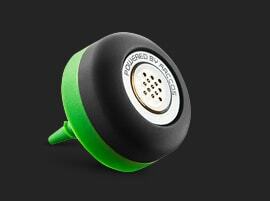 I like the Golf Pride MCC plus 4 which are not available with the sensors. Do I really value these over my current monitor system? My irons arrived on 1/29/18 ahead of schedule. 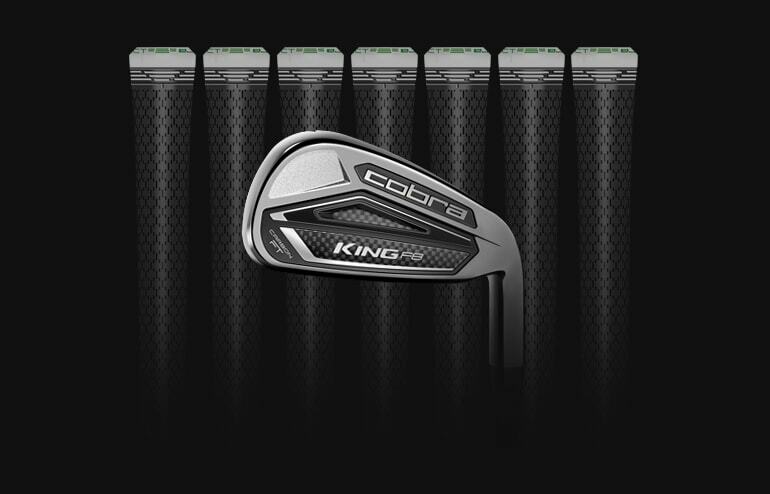 Cobra offers so many upgrade options at no extra cost is truly amazing. I went with NS Pro Modus3 Tour 120 shafts, thank you Cobra!! I've been a cobra fan ever since I have learned the game. Would love to give these a serious try out.